Predicate encryption is a recent generalization of identity-based encryption (IBE), broadcast encryption, attribute-based encryption, and more. A natural question is whether there exist black-box constructions of predicate encryption based on generic building blocks, e.g., trapdoor permutations. Boneh et al. (FOCS 2008) recently gave a negative answer for the specific case of IBE. We show both negative and positive results. First, we identify a combinatorial property on the sets of predicates/attributes and show that, for any sets having this property, no black-box construction of predicate encryption from trapdoor permutations (or even CCA-secure encryption) is possible. Our framework implies the result of Boneh et al. 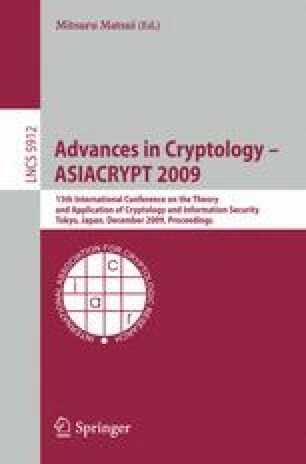 as a special case, and also rules out, e.g., black-box constructions of forward-secure encryption and broadcast encryption (with many excluded users). On the positive side, we identify conditions under which predicate encryption schemes can be constructed based on any CPA-secure (standard) encryption scheme.